Digital composite by Dorothy Amore Pilla. 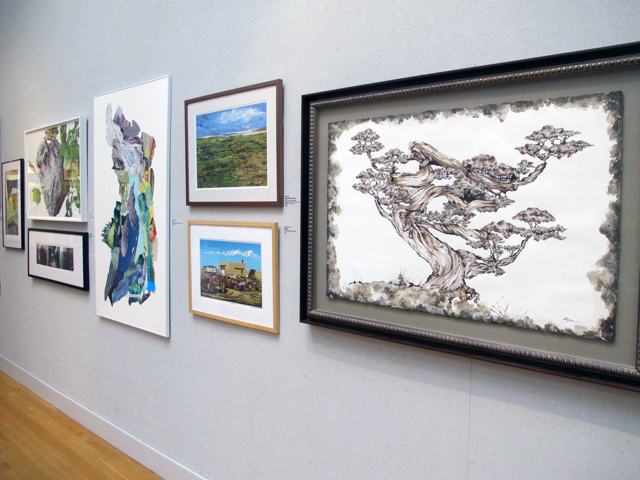 There are currently three new exhibits at the South Shore Art Center in Cohasset, MA all on view thru Dec 21, 2014. 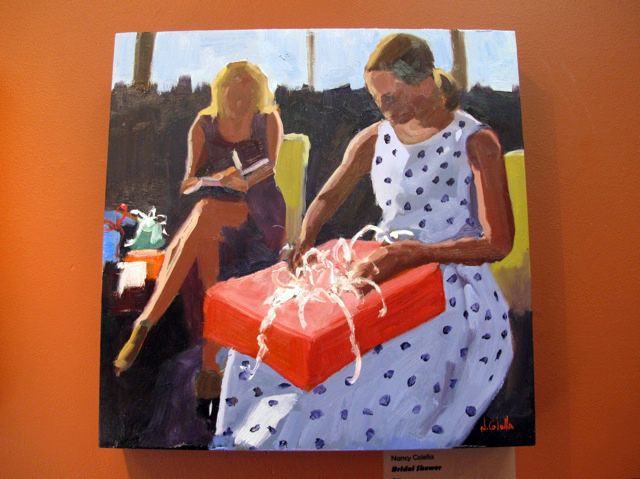 In the Dillon Gallery there is a 12″ x 12″ Small Works Show and Sale that features work by their gallery artists. The theme is ‘Feast and Festivities’ which has been uniquely interpreted by each artist. 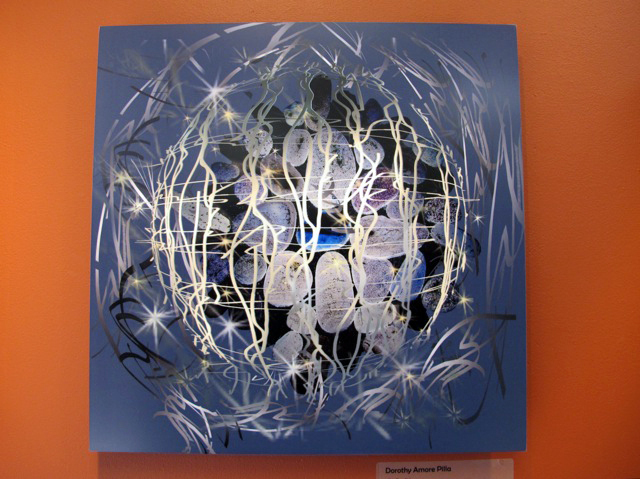 Mixed media by Patricia Berube. There’s a wide variety of pieces available all $500 or under with a percentage that goes towards the support of the SSAC. Patricia Berube has pledged the entire proceeds from the sale of her work to the art center. Oil painting by Nancy Colella. Now is a great time to acquire artwork by your favorite local artists at a more affordable price. All work is sold off the wall. Also on exhibit is the Works on Paper National Juried Show curated by Al Miner, Assistant Curator of Contemporary Art at the MFA in Boston. Although the exhibit features a vast array of styles and mediums it has a thread of delicately detailed work that has the viewer lured in closely to appreciate the draftsmanship of mechanical-like drawings, paintings and photographs. Line drawing by Bill Flynn. 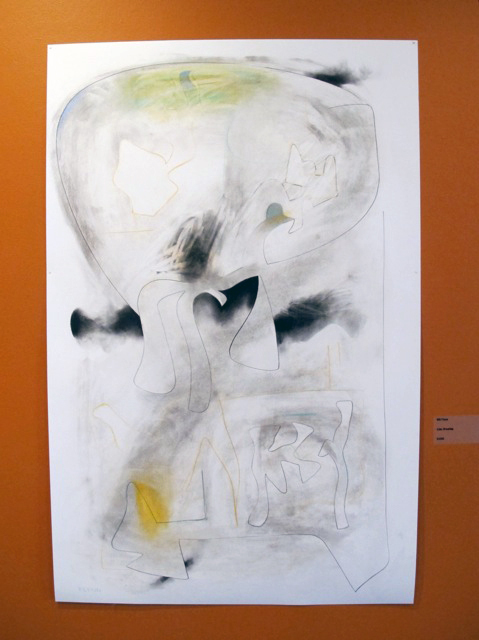 In the front lobby there are pieces by SSAC faculty Bill Flynn that are complex and involved and yet have a lightness to them that is remarkable. 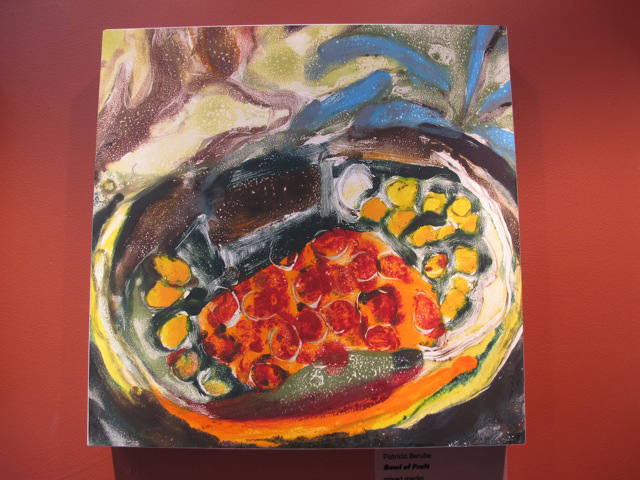 These abstract pieces are a testament to Flynn’s depth of skills and knowledge as an artist. Worth the trip to Cohasset to admire his creations. 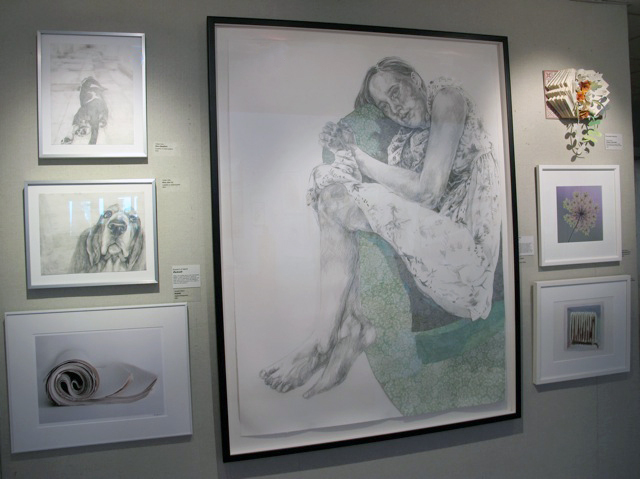 You are currently reading South Shore Art Center Exhibits at donna ingemanson studio.